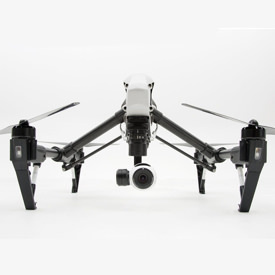 The Hubsan X4 Camera quadcopter is probably the best option you have if you are learning to fly for the first time. Just charge the battery, install the guard and off you go. This little guy is small enough to fly indoors, but don’t let its size fool you. It can handle itself very well outdoors, provided it’s not too windy. 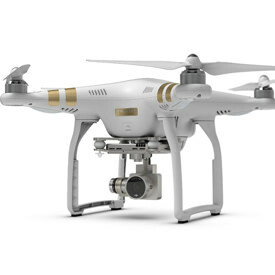 The 2.4GHz remote control gives you a very comfortable 300 foot range (about a football field). Being that this quad is so small, you’ll probably lose sight of it before it goes out of range. It doesn’t have headless mode or first person view (FPV) and your only indicators of direction are either the little LED lights or the propellers. So, as you can imagine, it gets really hard to tell what direction you’re flying when you get about 50 feet out. The camera is not impressive at all. You won’t be showing your videos off on Facebook or YouTube. There’s a ton of movement and the overall picture quality is about as good as an old flip phone. Another drawback, but not a deal breaker, is the battery compartment. The battery just slides in with nothing to keep it in place. It stays put for the most part, but a good jolt knocks it about half way out. All you need to do is slide it back in. The Hubsan X4 Camera drone is one of the best drones you can buy in this price range. It’s easy to learn on and you can fly it indoors or out. 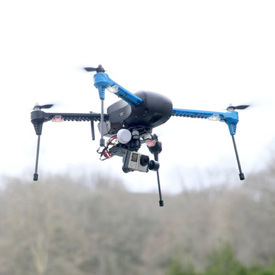 Don’t overlook this quadcopter just because of its size. 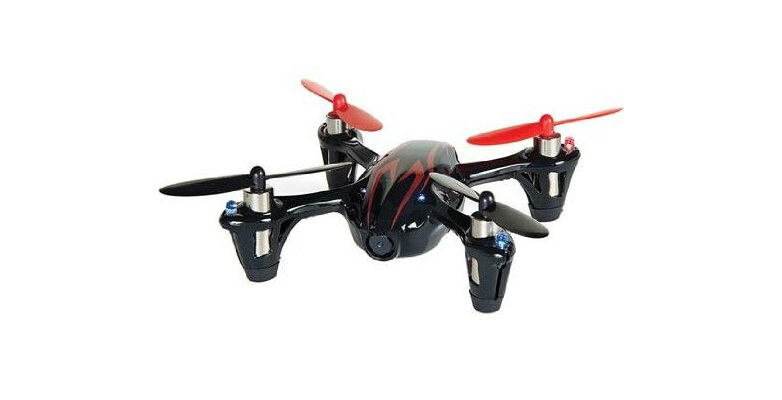 This little guy is a blast to fly around outdoors. It’s very fast and extremely responsive. 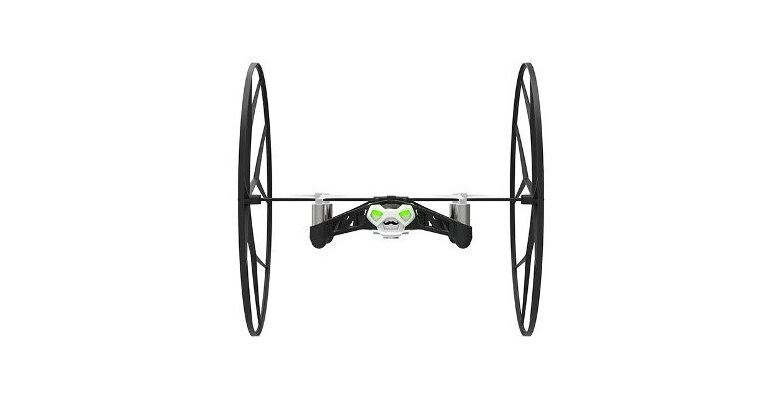 Even though it’s not equipped with GPS, it hovers very well. There is a slight drift that I can’t seem to get rid of no matter how much I adjust the trim. The 2.4GHz remote control gives more range than you’ll ever need on a drone this small. The manual says it’s 100 meters, which is roughly 320 feet, but I’d be worried about losing sight of it at that range. It’ll fly well above the tree line, but one good gust of wind and you’ll end up in a tree or on your neighbors roof. 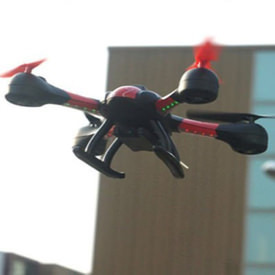 If it’s distance and low price you want, check out the Syma X8C. Also, there’s no FPV or headless mode so the farther it gets, the more difficult it is to tell what direction it’s flying. Sometimes it’s difficult to tell if it’s flying away from you or towards you. The battery takes somewhere around 50 minutes to charge and will give you about 7 to 8 minutes of flight time. With the camera rolling you’ll lose about a minute of that flight time. The biggest annoyance is the battery slot. There is no latch to keep the battery in place, so it has a tendency to slide out of the slot a bit. It takes a good crash to do this, but if you don’t adjust the battery it will off balance the drone causing it to drift backward. Some scotch tape does the trick. The camera is just crap. 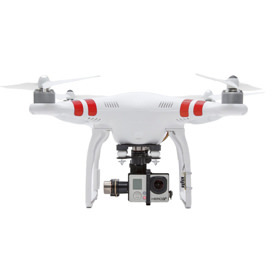 As are most of the cameras on quads in this price range. It’s wobbly and almost impossible to keep it fixed on anything. It’s more of an entertaining extra to see what your flight looked like from on board the quadcopter. I personally prefer having the extra minute of flight time. The body is durable, but the propellers our soft and damage easily. I highly recommend the spare parts crash pack that is available on Amazon. In it you’ll get 4 extra sets of propellers, two sets of motors, two extra batteries and an extra body case. 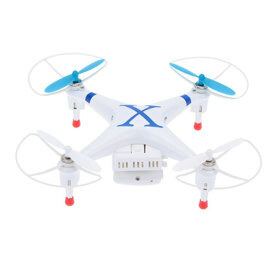 I’ve had my Hubsan X4 for well over a year and have only used two batteries and the propellers. Not a single problem with the body, the motors or the LED lights. Last but not least are the instructions. A first grader could do a better job of than the accompanying manual does. It’s incoherent gibberish that causes anxiety rather than explaining functionality. I recommend a quick search on the net or watch some YouTube videos.